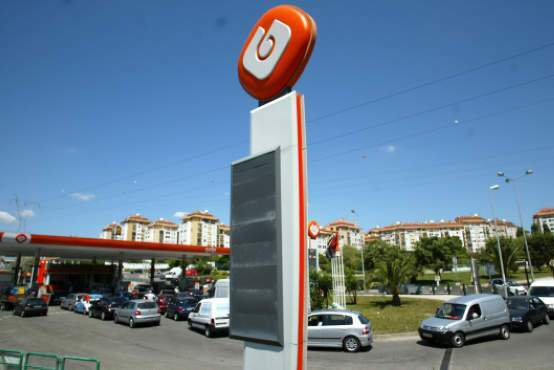 Are there petrol stations near Faro airport? Probably reaching out to a very limited audience here but has anyone ever hired a car at Faro airport? We have hired one for mext month and we must fill the petrol back before we return it back at the airport on the last day of our holiday. Are there petrol stations near to the airport that we can get the fuel on our drive back to the airport? Yes, there's a 24hr one at the airport. IIRC it's on the way to the car rental area. Be careful which pump you go to though - some you have to queue in the shop first and prepay before you take your fuel. Be careful which pump you go to though - some you have to queue in the … Be careful which pump you go to though - some you have to queue in the shop first and prepay before you take your fuel. are the prepay ones signed in english? how do you know about this? were you caught out? Yea. Couldn't be bothered to move the car either so just got on with it. Mutley would you like any advice on driving a left hand drive car ? which car hire company are you using as most want the car back near empty? also, most only offer collision damage waiver but dont make it clear that you still have to pay the excess (up to £2000 e.g. easycar). what does that big block mean? i would guess same as a right hand drive one except i'd be sitting on the passenger side. i would guess same as a right hand drive one except i'd be sitting on the … i would guess same as a right hand drive one except i'd be sitting on the passenger side. which car hire company are you using as most want the car back near … which car hire company are you using as most want the car back near empty?They then do the usual Spanish / Portuguese trick of charging you £100+ for fuel when you pick it upalso, most only offer collision damage waiver but dont make it clear that you still have to pay the excess (up to £2000 e.g. easycar). they say that we are expected to put the fuel back otherwise we will be charged for fuel used at a higher rate due to admin charge. are you saying that the clutch is on the right and the gas on the left? from recommendations, maybe even from you, economycarhire.comthey say … from recommendations, maybe even from you, economycarhire.comthey say that we are expected to put the fuel back otherwise we will be charged for fuel used at a higher rate due to admin charge. i hadn't factored this into my thinking as i have never driven a left hand drive car before. i hope i'll cope alright. i hadn't factored this into my thinking as i have never driven a left … i hadn't factored this into my thinking as i have never driven a left hand drive car before. i hope i'll cope alright. stop winding me up guys. mikey just told me their pedals are the same as ours. stop winding me up guys.mikey just told me their pedals are the same as … stop winding me up guys.mikey just told me their pedals are the same as ours.